Whats going on Dance Music fans! We're hope you're having an incredible Sunday. We love sharing our Artists of the Week with you and exposing you to the freshest and newest sounds in the electronic dance music world. Today we are showcasing no stranger to the EDMsauce.com world, please welcome our newest AOTW, Asi Vidal. 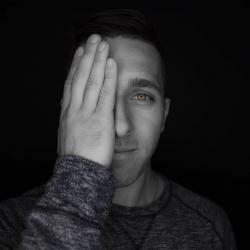 Asi Vidal most recently showed himself to our site with his newest release that can be found below, Plur Frequencies. This track really blew our mind with really simple but intricate sound designs, pitch shifts and overall dark feel. The track really shape-shifts from tech, to euphoric trance, to big-room in its breakdowns, to super-deep vocally house. Really, really incredible track and worth an absolute listen through about 5 times. How about a little bit about Asi Vidal himself? Asi Vidal is a talented DJ and Producer of dance music, He made a name for himself in the music industry with his club banging and electrifying beats that build for the Dance floors. The talented producer recently released his third studio album ‘Strike Hard under Rhino Star Records, This album combines Middle Eastern Influences with electronic sounds from the House and Trance genres. Titled ‘Strike Hard, the album took 4 years of complete, containing 10 different tracks, A majority of them are instrumentals and some featuring vocals, In the album you can hear percussion sounds Such as darbuka, Morrocan rhythms and background vocals inspired by the Middle East the region where Asi Vidal grew up. ‘The meaning of the album name for me was to go hard with what I love the most and what i want to create, without considering what is popular or what people will say, This album was made for the dance floors”. Growing up in Israel, Asi was attracted to electronic music from a very young age, listening to different albums and bands in the electronic genre, especially ‘The Prodigy and ‘The Chemical Brothers. He started DJing as a teenager in birthday parties of friends from school and small clubs, Asi kept playing with turntables and synths, perfecting his skills which later got him to win a local DJ contest. His passion led him to study music and production and move to Los Angeles. After several rejections from different record labels, Asi Vidal made the decision to start his own record label, ‘Rhino Star Records, which in just a few years became a brand name in the industry. His first album ‘Electronic love Vision was released in 2010, Followed by 14 originals and remixes which was released between 2011-2016, In 2017 Asi release His second album ‘Fire Dance, This one got him international attention from DJs and fans as well. His popular radio show ‘Electro Club currently has over 1 million listeners across the globe. Asi Vidal recently cemented his place as a force to be reckoned with in the music industry. while some acts have come and go, others have showed their realness and ingenuity to remain in the industry and stand out. One of such acts is Asi Vidal, He continues to solidify his position as one of the most sought-after DJs in the industry. Thank you so much for taking the time to check out this incredible up and coming Artist, Ali Vidal.